What Are Urgent or Reduced Ribbons For Your Ad? 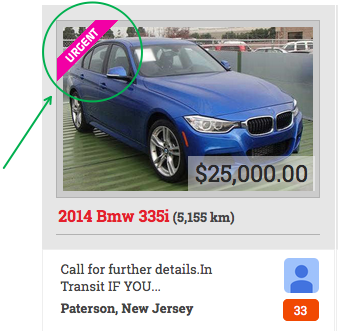 This is a paid ad upgrade available in your dashboard. Let others know you are motivated to sell today, indicate you’ve priced your item for a quick sale and are looking for a fast response with an “Urgent” indicator. 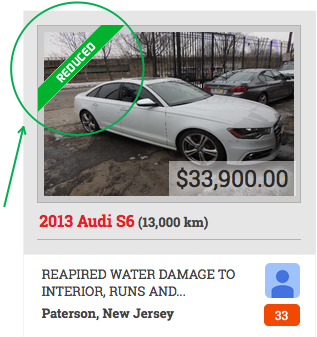 Alternatively, let others know you’ve recently re-priced your item for a quick sale and are looking for a fast response with a “Reduced” indicator.